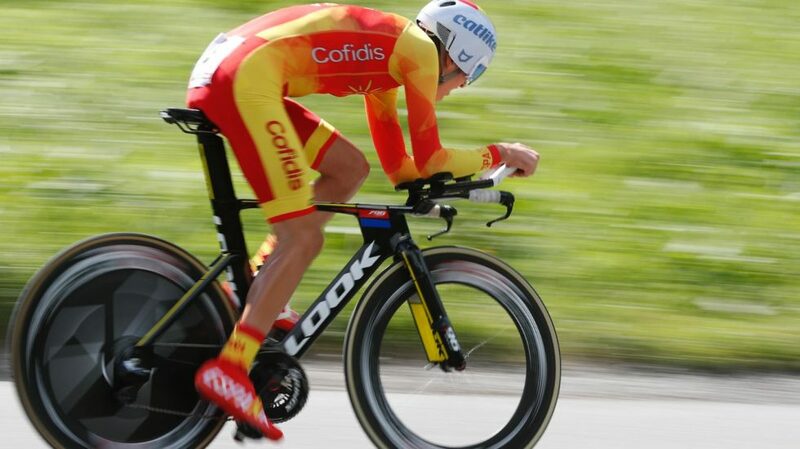 The junior Carlos Rodríguez from Granada faced his participation in the time trial of the World Cycling Championships in Innsbruck this Tuesday. A time trial of 27.8 kilometres in which the Polartec-Kometa cyclist finished in 22nd position, the first classified of the two Spanish representatives in competition, 3:25 from the Belgian Remco Evenepoel. Cantabrian Iván Cobo Cayón finished in 51st place, more than five minutes away. He was the great favourite for the title and Evenepoel, riding at an average speed of 50 km/h, did not give room for surprise with an unquestionable performance on the Austrian routes, even doubling the Norwegian Soren Waerenskjold, national champion of his country in this discipline and winner of the time trial of the French Trophée Centre Morbihan this year, where Rodriguez finished seventh. In Innsbruck, the silver went to the Australian Lucas Plapp and the bronze went to the Italian Andrea Piccolo. “I felt good, but things didn’t turn out as I expected”, commented Almuñecar, first year junior. Later, he developed his impressions to the press service of the Spanish Federation (RFEC): “At first I found my rhythm, was going quite well, but perhaps with the passage of time I have become a little long not being accustomed to this type of time trial. Normally the times we have done this year were of ten kilometers, fifteen, twenty at most for example the Championship of Spain. At the end, although I was still feeling good, I saw that the references have not been entirely good. In spite of this, Iván and I have given everything, we have done our best and on Thursday we will see how it is given, in a race that adapts better to our characteristics”. Rodríguez will also be part of the Spanish team for the road race. The road race will be held on Thursday on a very hard track of 132.4 km that in its final part will have two laps of the so-called ‘Olympic circuit’, with two steps by the Igls climb (7.9 km at an average of 5.7% and ramps of 10%). The arrival is expected between 18.30 and 19.00 hours.